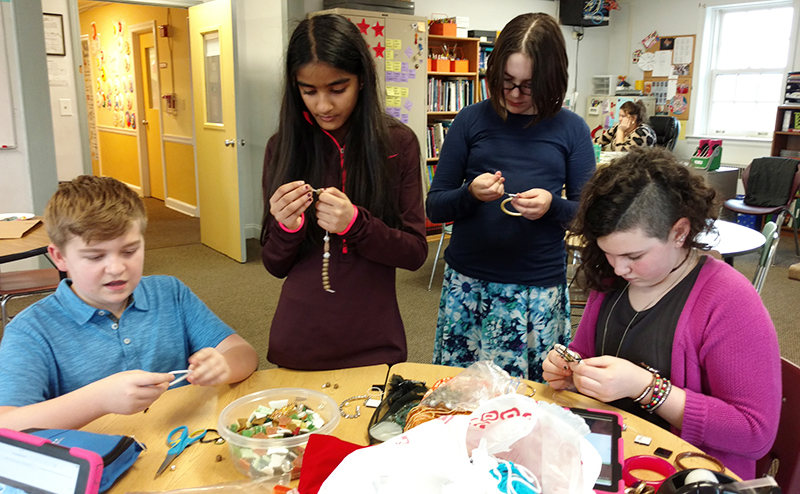 In addition to experiencing the core curriculum in the middle school, students pursue active learning options during the very popular Exploratory classes. Exploratory occurs every Wednesday during the last two class periods of the day. Students are empowered to select options that resonate with them. A wide range of opportunities, changing with each trimester, affords every student the chance to pursue their passions, try out new pursuits, or use their skills and talents to benefit others in the school community and beyond. Exploratory classes are assessed on a pass/fail basis.